Previous posts have highlighted the strengths, durability and highly modular nature of the Metro Morph card terrain system. This post will look more closely at the art direction taken for our first Metro Morph project and suggest some possible thematic styles I’d like to explore in the future. Dark, grimy and inhuman are qualities which ring through many great and memorable sci-fi settings and environs. In addition to these qualities, I wanted the atmosphere created by the art to carry enough story as to what the place created by these structures was about. They needed to look good but also serve a practical purpose, not just as gaming pieces but as vehicles to bring the backstories of battlefields alive. 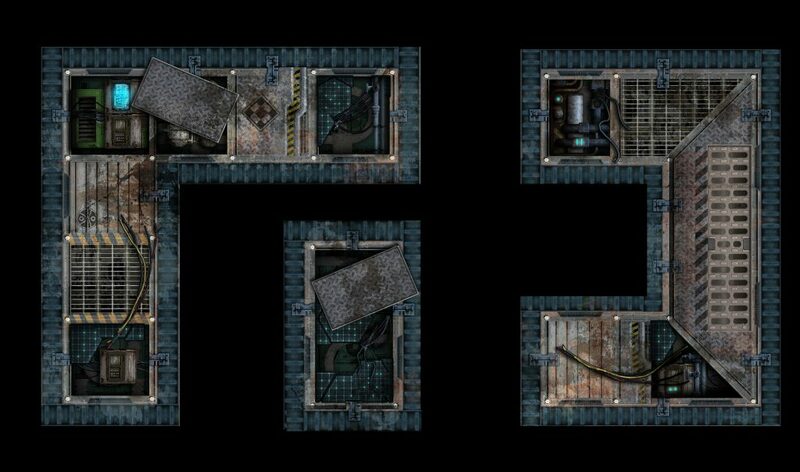 The initial planned release focuses on the theme, Sci-Fi : Industrial, which captures these ideas perfectly, as we believe this will have a far reaching appeal across a wide variety of current games. Another strong feature of the art is its unifying nature. Due to the underlying panels being so highly modular, it would be easy for the art to appear disjointed and not cohesive. This was outlined early in the design process and I’m pleased to say the art, through carefully planned and constructed thematic tie ins, pallet choice and detailed design allows for all panels to meld into one another in a really natural looking way. One other point definitely worth mentioning is that the art on the panels is completely double sided. That means, even if you use the same structurally looking panel piece you can readily mix up the appearance of your buildings by simply reversing the card sides. 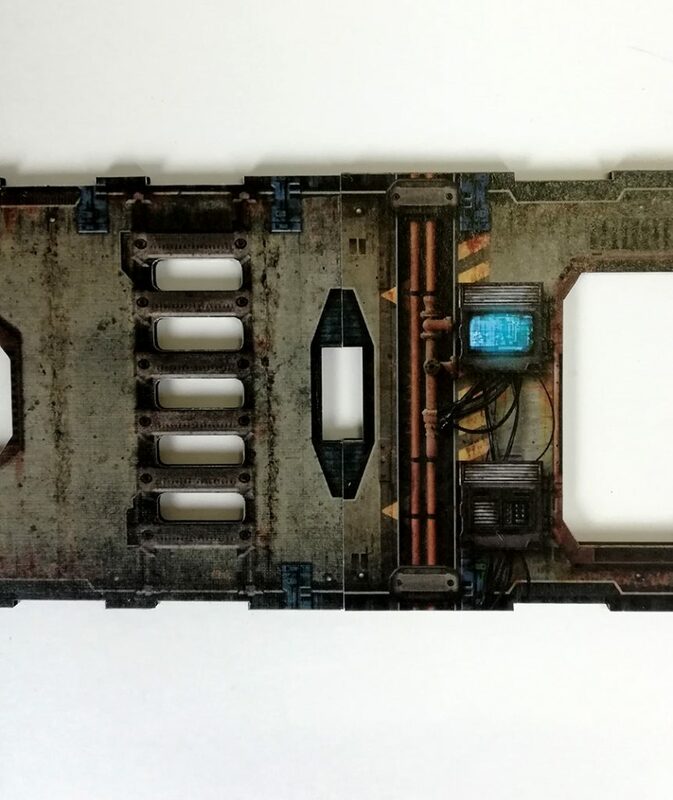 While Sci Fi: Industrial setting is planned for Metro Morph’s first foray into miniature wargaming terrain, it doesn’t mean we intend to stop just there. 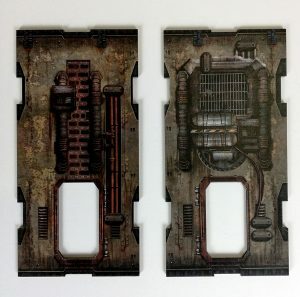 A huge advantage to having printed art on solid base system is that with a change of art a completely new battlefield can be brought to life. While nothing can be disclosed as yet, depending on the success of upcoming Kickstarter campaign further themes and genres may make an appearance. So let us know, what kind of battlefields are you wanted to play over? 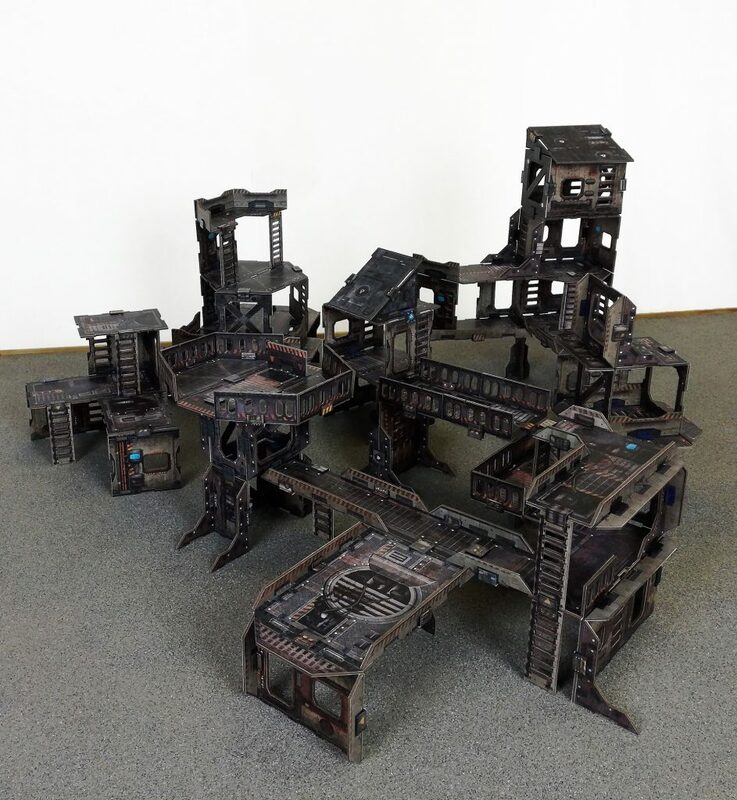 Posted in Metro Morph and tagged art, building, card terrain, Metro Morph, modular, wargaming terrain. I can already think of some great ideas for combining different thematic sets (e.g. Sci-fi with post-apocalypse) to make an exciting dystopian themed city. Thanks for your interest in the system. Different themes and settings is something I’d really like to see explored in the future. As you mentioned, combining these would be really awesome too. We’ve had some ideas, but early days yet. 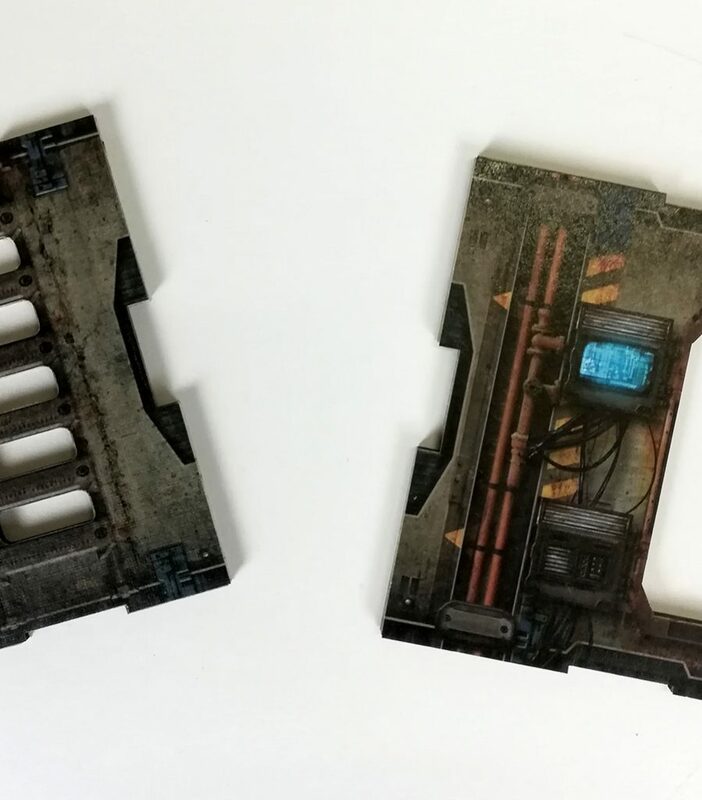 Regarding your question, there will be smaller packs available outside the Core Set, which can be used to extend and expand the Core, or be used on there own to form lighter scatter pieces. As to decorative pieces, let’s just say, they are most definitely in the works. This is our first Kickstarter campaign so we would like to try and keep things manageable and stick to just a few major products, but some exciting decorative elements are on the cards. Will just depend on how well the campaign goes as to when we can potentially follow up with more material. Rest assured we have ideas aplenty.